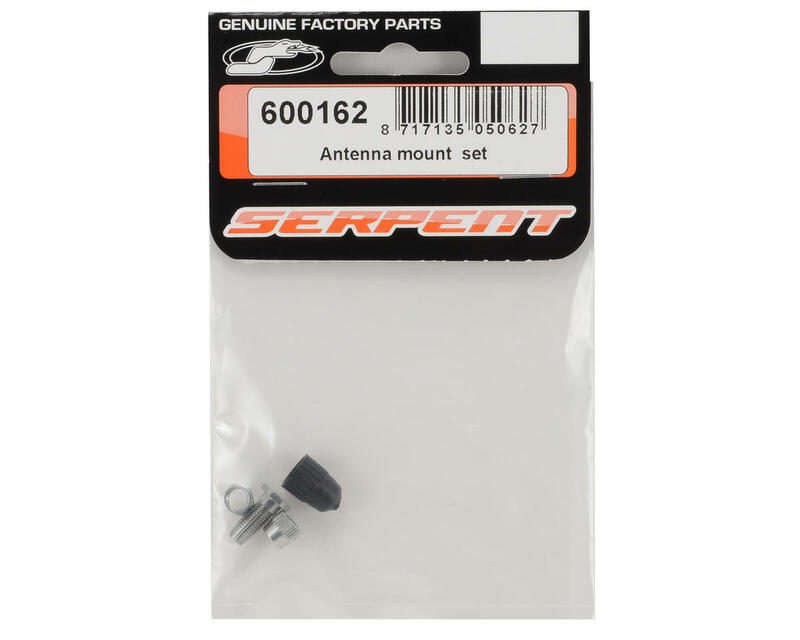 This is a replacement Serpent Antenna Mount Set, and is intended for use with the Serpent S811 Cobra 1/8 buggy. This is a crimping antenna mount with a rubber water proof cap. 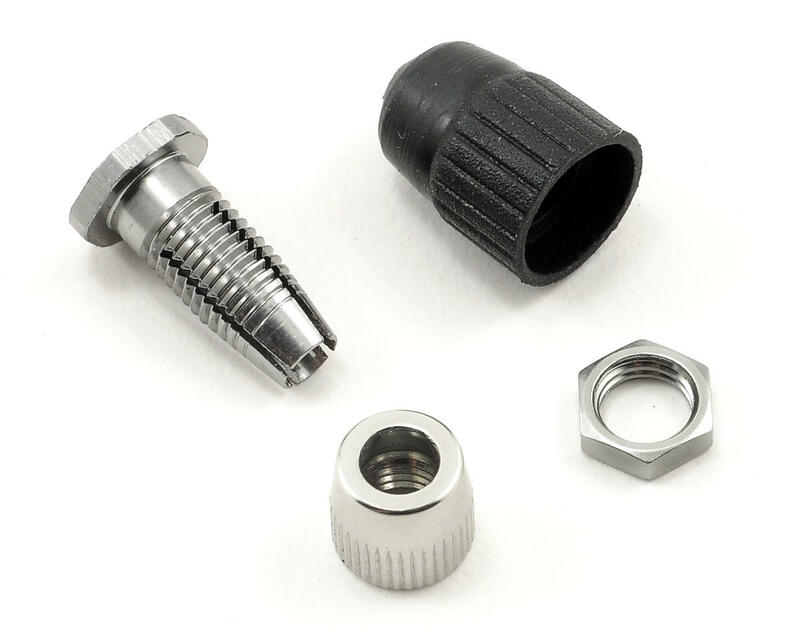 With water being a potential problem in outdoor nitro racing, this Crimping design not only holds your antenna in place, but the rubber cap will help to prevent water from sneaking in to the radio box.